Many business owners have an interest in some form of access control system, but do not quite know where to start. These systems offer nearly endless options from both a technology and a usage standpoint. They play a large role in preventing theft, both from outside sources and even from employees. Decisions loom every step of the way. Which technology suits your needs and budget the best? What are the strengths and weaknesses of the different types of systems? Where should you have access control installed, and why? With this blog post, we will provide an overview of the types of access control available, what each type of systems can offer, and where you may consider access control for your own business. An electric strike, such as the HES model shown here, electronically unlatches when the proper access control credentials are presented. In many ways, the term “access control” is quite self-explanatory. Simply put, these systems allow or deny access to specific doors. Accomplishing this requires multiple stages of planning and work. For starters, installers must often utilize additional equipment to add an electrical component to your door hardware. They may accomplish this with an electric strike (pictured here) or with an electrified crash bar. These newly-installed electronics then work with a reader or keypad to control who can get in a door, and when. If a user’s credentials allow access, the door unlocks for them. Of course, presenting an incorrect credential leads to a denial of access. Finally, the system’s keypads or readers are usually connected to a controller, often located in an IT closet or similar area. Traditionally, wires are run from the controller to the access control devices to make this connection. However, cloud-based and wireless technology also exists. 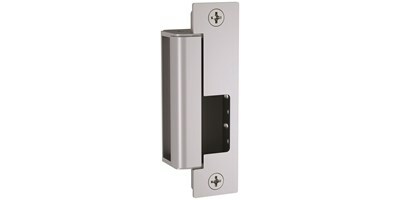 You can read more about the pros and cons of these options on our Commercial Access Control page. The controller is then connected to the network, and this allows business owners to access the system’s software from a computer. Once on the network, the software allows full control of the system. Business owners or managers can add and delete users, or make changes in which doors users can enter, and at what times. In addition, most access control systems track who approaches a door and when. This includes both successful and unsuccessful attempts at entering a protected door. If an employee comes in at the beginning of a shift, the system records this event. In the event this same employee attempts to come back after hours, you will also be able to see when this happened. What Type of Access Control is Right for Me? When designing an access control system, we tailor the type of equipment we install to a customer’s unique security and business needs. Perhaps you simply want to track who enters and leaves a building, and when. If this is the case and employee theft is not a concern, a simply keypad system may suffice. If you have high-security areas in your business, or many employees with different levels of access, you will need something a bit more robust. Many systems, such as the AMAG systems that we work with frequently in commercial settings, have equipment ranging from light commercial use to government-level security equipment and software. 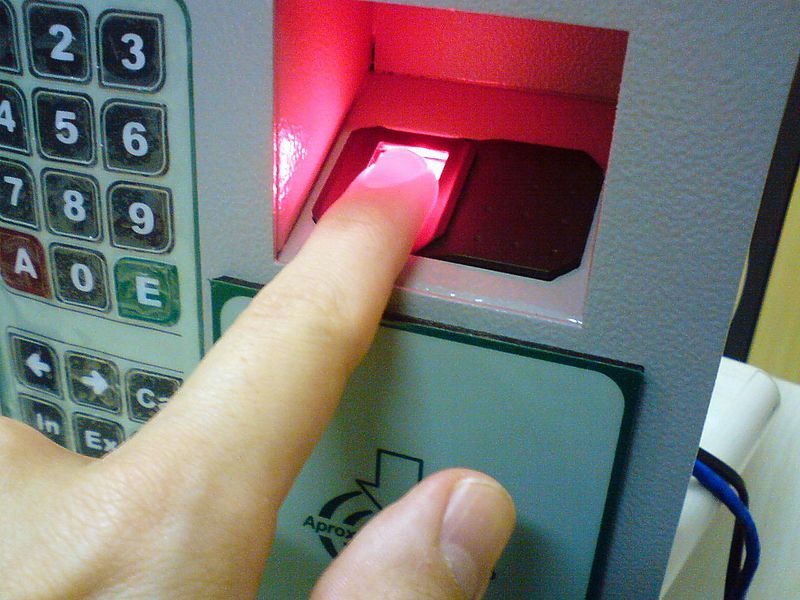 Let’s take a look at some of the most common types of access control technologies. Keypads provide a basic additional level of security to a business. Installing a keypad limits door access to those who know one of the user codes that will unlock the door. This is usually the most basic form of access control, which has both drawbacks and benefits. Anybody who knows an access code to a building can get through a keypad. For this reason, installing a keypad will provide less security than installing a reader. However, keypad systems often cost less than their reader-based counterparts. Security companies can often install keypad locks or deadbolts without tying them into a controller or adding electronic elements to an existing door. You can often even buy a battery-operated keypad and skip the electronic equipment altogether. Both of these options make it possible to install keypads at a much smaller cost than other types of control. Of course, skipping these steps limits a keypad’s use. Some battery-operated keypads will allow any user code to work at all times — a code that works during the work week will work after hours or on a weekend. Furthermore, a self-contained keypad will not track access or if it does, it can be labor intensive to access the data. If an employee steals from a business over the weekend, that business owner may have difficulty seeing who came in and when. 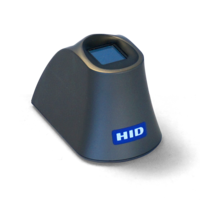 Biometric readers allow users to enter a door based on a biometric feature such as a fingerprint, handprint, or even an eye scan. These readers are great for high-security areas. Because the credentials needed for entry are difficult to fake, it is very difficult to enter a door with a biometric reader without the help of someone who has been granted access to that door. However, these types of readers do have their downfalls. This type of reader is the most sensitive, and also requires the most maintenance. After time, dirt, dust, or other residue may build up on the surface of the reader. When this happens, the system may deny access to even to authorized employees. Likewise, even brief exposure to sunlight or rain can make it difficult for your reader to work properly in outdoor settings. Proximity card or fob readers get their name from the concept that they read a card or fob that enters the proximity of the reader itself. This is likely the most popular type of access control technology. As with keypads and biometric readers, proximity readers have both pros and cons. This technology combines a good mix of both security and affordability. Unlike keypads, proximity readers require a very specific credential to allow access to a door. Although a card system is not as high security as a biometric reader, they are generally less expensive and require less maintenance. The biggest downfall to a proximity system lies in the use of cards that can be lost or, in extreme cases, copied or “cloned.” If an employee loses a proximity device, that provides a security risk until the car is reported as missing and removed from the system. “Cloning” a proximity card or fob involves copying the data from a proximity device and copying it onto another device. In this case, a reader will not generally know the difference between the original credential and the new, “copied” card or fob. Not all cards can be cloned but the most secure a card is, the more costly it is. If cloning a card is a concern to you, make sure you discuss multi-technology credentials with your system designer. Where Should I Consider Installing Access Control Readers, and Why? Access control equipment adds an extra measure of security wherever it is installed. In addition, it helps you track your employees’ movements within your place of business. Many business owners start by controlling exterior doors to limit and track access to the building itself. From there, additional access control points may include the inner offices of a building that only few have access to. Many of our customers also combine different types of access control. Exterior doors, for example, may get a biometric reader system to tightly control access to a building. Interior doors may have keypads or high security key, key controlled locks placed on managers’ office doors to provide a simple, extra layer of security. Obviously, not every type of business needs the same level of security. Likewise, different parts of the same business may even benefit from the installation of multiple unique solutions. Identifying areas of specific interest goes a long way towards creating an effective access control system. Now that you know the basics behind the technology, you should also have some ideas about what type of system suits you best. The last step involves putting everything together. If you know what type of reader you would like, now you’ll need to figure out what electronics must be added to your doors for the system to operate. You’ll also need to develop a plan to make the readers and your software communicate. Finally, you’ll want to keep possible expansion in mind. You may want two doors of access control now, with a possibility of adding two more in the future. Knowing this in advance will help you choose the proper controller for the number of doors on your system. If you have any questions about access control technologies, installation, or system design in general, contact us. We will provide a free site survey to discuss your security needs and help you design a system that takes advantage of all the extra security and functionality that an access control system provides.